Melonie Dodaro is the author of the #1 international bestseller, The LinkedIn Code. 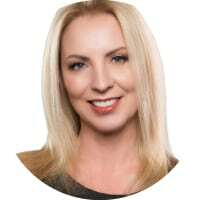 She’s a highly sought after speaker and trainer that specializes in social selling (digital sales and marketing), LinkedIn and how to build trust online, across North America and Europe. Melonie helps brands, professionals and sales teams effectively use social media and social selling to build trust, increase their authority, credibility and revenue. Melonie has been listed as: Top 50 Trustworthy Digital Marketing Experts 2017, Top 100 Marketing Influencers 2017, Top 50 Sales Influencers 2017, Social Selling 2017: Top 100 Influencers and Brands, 21 Women of Digital Marketing to Follow in 2017, Top 10 Social Media Blogs, Top 65 Women Business Influencers, and many others. I have been an entrepreneur for two decades and owned five brick and mortar businesses before starting with social media. Early on I saw the business application that social media provided and went on a mission to learn everything I could about social media and digital marketing. I was very familiar with marketing as I used to market all of my businesses with traditional marketing and became intrigued with how that would change with digital marketing. I am most passionate about social media for B2B and that’s why I focus almost solely on LinkedIn, Social Selling and Content Marketing. Like everyone else I see a great future with various forms of content including video and livestreaming. I am pretty excited about LinkedIn’s launch of native video. In all seriousness, any influencer that isn’t chasing the next shiny object and focuses on real business results, with a real ROI will have my attention. There’s a lot of social media fatigue happening and a lot of “look at me” and so I am pretty darn selective about who I pay attention to. I love a great business mind as well a great marketing mind, but business gets my attention first. I tend to gravitate more to the tried and true business minds, such as Robert Ciadini, Michael Gerber, Tony Hsieh. And I must admit, I have a serious crush on Richard Branson. I don’t mean to be vague here but I don’t have many favorite brands, what does stand out to me is brands that market with integrity and ethically. I also like a brand that’s fast and witty such as Oreo was with their post “you can still dunk in the dark” when the power went out during the Superbowl. I also love the compassionate Christmas campaigns that a Canadian airline called Westjet runs. They always pull at my heartstrings. It would definitely be speaking and training opportunities. I have trained many B2B sales teams on how to effectively leverage LinkedIn and social selling to massively improve their lead generation. The best way to reach me would be via email at info@topdogsocialmedia.com to schedule a time for a phone conversation.